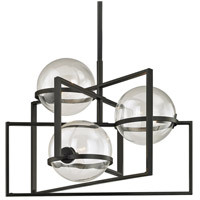 Like a ticking contraption straight from the pages of Jules Verne, Atlas blurs the line between mechanical art piece and practical source of illumination. 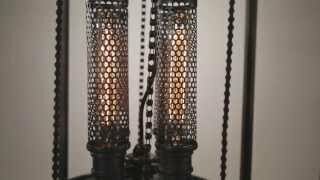 Its lights appear to be part of an extraordinary machine in motion, each one encased in a mesh cylinder and suspended between two “steampunk” style gears linked by chains. 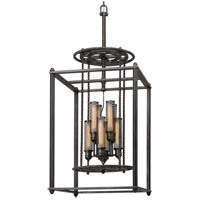 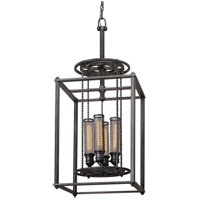 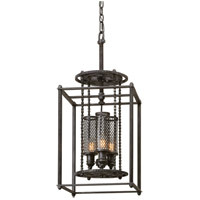 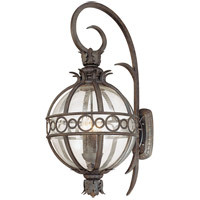 Finished in an industrial aged pewter, the inventive configuration is surrounded by a rectangular frame constructed of hand-wrought iron and cast aluminum details. 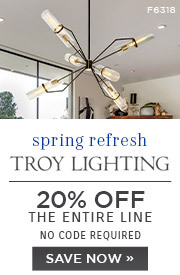 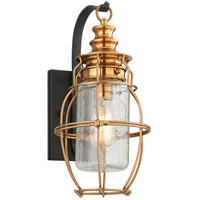 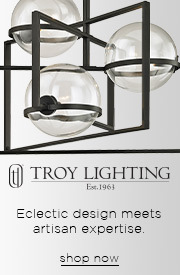 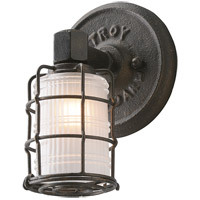 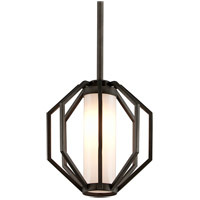 Atlas is available as a three-, four- and eight-light pendant as well as a one- or two-light ADA compliant sconce. 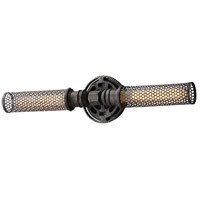 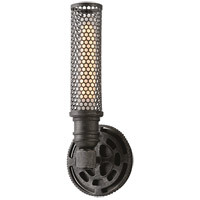 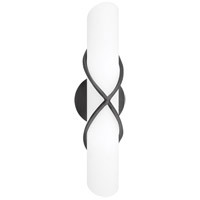 The sconces feature lamps encased by mesh cylinders attached to a gear-like back plate.